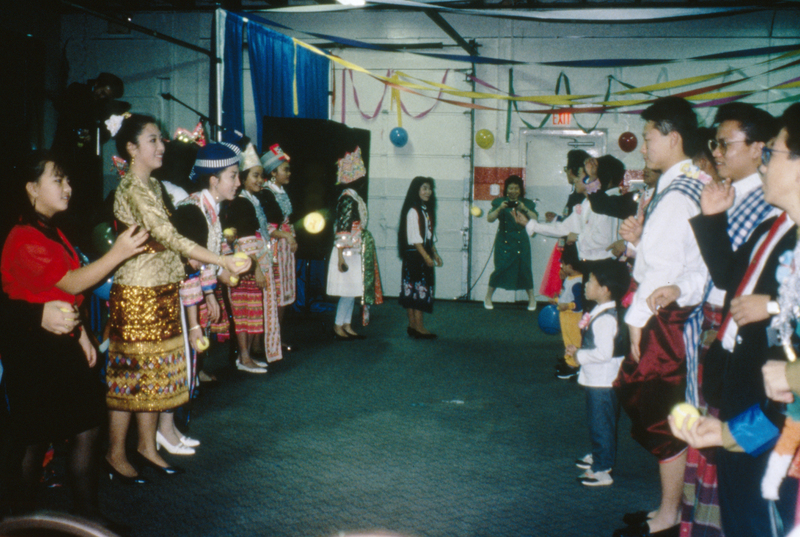 In this part of the lesson, students will identify and discuss folk art or folklife traditions that belong to one of their own folk groups. The class also will learn basic research and interviewing skills that will be helpful to them in many different learning environments and life situations. If desired, they also can go on to complete the optional extension of the lesson, in which they will learn, practice and apply documentation and presentation techniques to complete what folklorists call a "fieldwork experience." Discuss folk groups and give examples of folk groups from their own experience. Know and use proper listening techniques. Know and use proper interviewing techniques. Review the game, photographs, interviews and scripts to be used in this activity. Read the teacher's Resource Conducting and Preserving Fieldwork for detailed information about fieldwork techniques, projects and products. Step 1 - Introduce the concept of folk groups to the class by photos, the folklife card game and/or the following information. All of us belong to many overlapping groups of people who share common languages, ways of looking at the world (worldviews), beliefs, interests and identities (feelings of likeness, uniqueness and belonging). By interacting with people with whom we share interests and identities, we are interacting within a folk group. Think about the folk groups you are in, and write at least three of them down. In each of these folk groups, we have certain traditional ways of doing things that help us feel a part of the group and help maintain the group's identity. In your family, for example, you might always celebrate birthdays with a certain ritual, such as a surprise party or the same kind of dessert. You might like to tell a certain funny family story over and over again, sing a traditional song together, or make a special food when you get together for holidays. These traditions are called family folklore or folklife. Likewise, in many occupations; ranching or commercial fishing, for example, there are traditional types of knowledge passed on from person to person within the group. 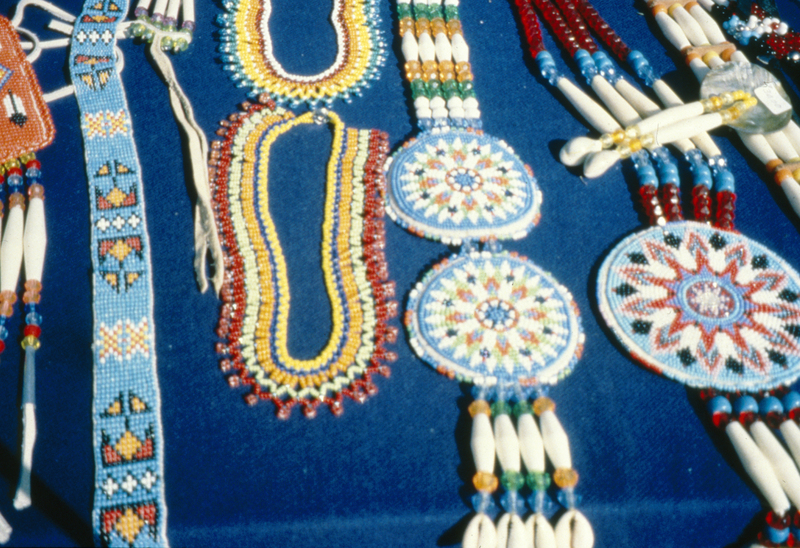 These can be traditional crafts, such as rope or leather braiding or the making of fishing nets. They can be verbal expressions, such as cowboy poetry, "in" jokes (those that are only fully appreciated and understood by members of the group), special nicknames or ways to foretell the weather. 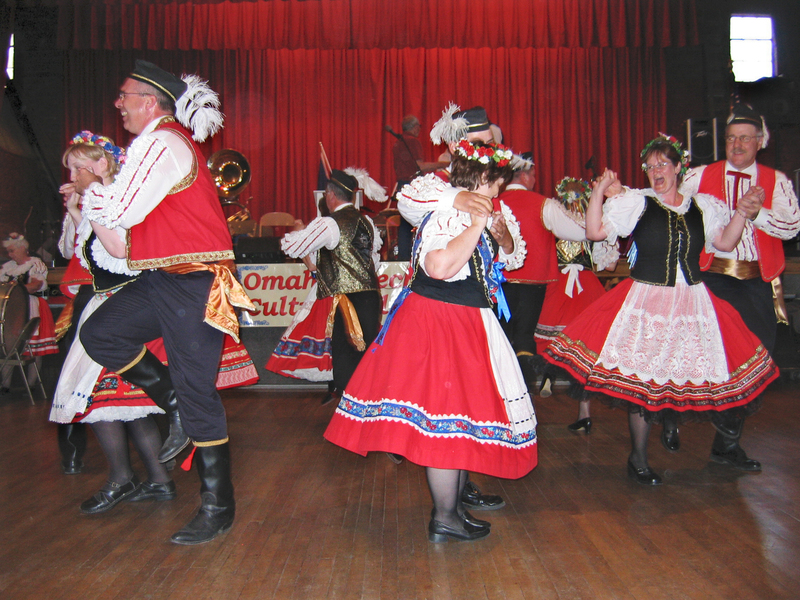 Folklorists, who often study these traditions connected with work, call them occupational folklore. What are some of the traditions you can think of that are practiced among farmers, ranchers, fire fighters or other occupational groups in and around our community? What about in other, non-occupational folk groups in our community? In the extension of this section, we'll be learning how to interview people about their folk groups and traditions. This type of interviewing is called "fieldwork" by folklorists, because it is most often conducted in the homes and workplaces of the people being interviewed, rather than in the workplace of the folklorist. Therefore it's considered "out in the field." The term "fieldwork" usually has a different meaning in agricultural states such as Nebraska, of course. So it's important to explain clearly what it is we're doing if asked by others. We don't want them to think we're going out to hoe thistles or plow the north 40! Modeling and practicing interviewing is crucial to successful fieldwork. Interviewing is more unnerving than it seems, so practicing will reduce butterflies, improve diction and listening skills, and build confidence. Use Scripts 1 and 2 (handouts) as outlined below. Objective - To allow students to see the value of listening, courtesy and preparation in conducting an interview. Procedure - Select two students to play the roles of "Reporter" and "Guest". Give each a copy of the script and ask them to play the roles in front of the class. They and the rest of the class are told that the reporter is interviewing a tourist in Lincoln. After the interview, ask the class to explain what was right and what was wrong with the reporter's approach. Write the responses on the board as students offer them. Objective - To show students the value of asking follow-up questions and questions that elicit meaningful responses, such as "open-ended" questions. Procedure - In this interview, the teacher should play the part of the reluctant guest. A team of students should act as reporters and together draft 10 questions to ask the teacher about his or her role as a teacher. Students should question the teacher in front of the class. They are told they may ask follow-up questions based on the teacher's answers. As the teacher answers the questions, he or she should offer as little information as possible, using one-word answers, for example. The rest of the class should take notes on the teacher's answers, critiquing the reporters' good points and mistakes. Begin with the sample interview included in the curriculum to get students started on developing a list of questions and strategies for eliciting answers and following up leads. Ask the teacher to give specific examples. Ask open-ended "how" and "why" questions that require description and explanation, not just "what," "when," and "where" questions that draw only "data responses." Follow up missed leads, such as "the fire" or "the astronaut and the polka musician." Ask students to critique a short model interview you have prepared of a student or another teacher about one of their folk traditions. Ask students to listen to and critique one of the interview excerpts included with the curriculum. Pair students off to take turns questioning and answering, use the scripts provided in this unit to prompt student critiques. Ask students to report on informal practice interviews they have conducted at home. Through practice, students learn to improve their questions, listen to responses, follow up interesting conversation leads and share short versions of stories of their own to give interviewees some examples, and "prime the pump" to elicit answers. Depending on the nature of the class, conducting practice interviews in pairs or in teams of three also could be helpful. Students also will gain confidence using equipment they will use later, such as cameras and recorders. Explain to them that learning how to use equipment is important, because equipment can either get in your way or be a great blessing, depending on how familiar you are with it. After hours of staring at television, computer screens and video games, students might need to "tune" their ears. The application of good listening skills is a key lesson learned in fieldwork. Interviewers learn more by staying silent than by jabbering or rushing interviewees. If you'd like to improve students' listening skills, there are a number of relatively easy things to try. Something as simple as playing a short recorded story will test students' listening tolerance. Do they fidget? Do eyes wander? Can they relay what they heard? Discuss with students whether they enjoyed the experience and how it differed from watching a movie. Reading a story aloud is another way of measuring students' attention to listening. Ask students to listen carefully for a few minutes, and then write down all the sounds they hear in the surrounding environment. Use copies of the readymade question cards included in handouts, and feel free to add additional questions relevant to your own community or area of the state. Ask the class to form one or more circles around a table or tables, or to form circles with desks or chairs. Place the cards face down in a pile on a table or desk in the middle of each group. Ask for a volunteer or otherwise designate someone in each group to be the first player. The first player picks a card and chooses a second player to answer the question on the card. After answering the question, the second player takes another card and asks the question on it of the third player. The game continues until all the questions are answered and all players have answered a question. The game has no right or wrong answers, and there are no winners or losers. After some of the questions are given, let additional students in the group share their answers to the same question as well. By sharing their answers, students learn that there are many similarities, differences and patterns in which others carry on traditions. This part of the lesson was focused on learning and using proper listening and interviewing techniques. The lesson contains examples and discussion questions and refers to a detailed teacher's resource (included on the site as a PDF) that explains more about conducting fieldwork projects. The lesson helps students understand that all cultures, including their own, offer a great variety of folklife, and it serves to demonstrate the relevance of studying folk arts and folklife in their own lives. Furthermore, the lesson gives students additional skills and knowledge with which to approach studying cultures different from their own. Discuss folk groups and give examples of folk groups from their own experience? Use proper listening techniques (i.e., paying attention, repeating what was heard, etc.)? Use proper interviewing techniques (i.e., asking open ended questions, asking follow-up questions, etc.)? (8.4.2) By the end of the eighth grade, students will demonstrate skills for historical analysis. (8.4.3) By the end of the eighth grade, students will develop skills in discussion, debate, and persuasive writing by analyzing historical situations and events. (12.4.1) Essential Learnings 4. Students exhibit a variety of creative skills in their own artistic expressions and in response to others. Click on the picture to access a printable image. All images are at a moderate resolution (150 dpi) but may vary in usable size. Most images will fill an 8.5 x 11" sheet of paper when printed. 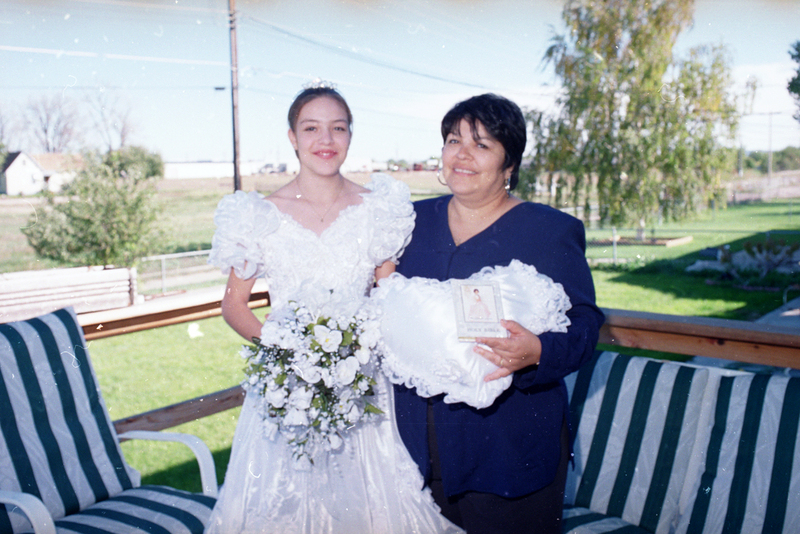 A series of audio excerpts from an interview with Ms. Blakney, master Santee Sioux star quilt maker, and her student Virginia Thomas in Santee Nebraska, 1993. See PDF (pending) of transcript for details. Interviewed by Gwen Meister. Video interview of Ms. Synovec of Lincoln about how she learned to do this type of needlework and about her family tradition of fillet lace crochet. At the Lincoln Senior Center Traditional Arts Day, Lincoln, NE, 1993. Interviewed by Gwen Meister, produced by Lynn Rogers. Video interview of Mr. Matthews of Lincoln about how he learned tatting and how he used the hobby to occupy himself while on the road as a professional ballroom dancer. At the Lincoln Senior Center Traditional Arts Day, Lincoln, NE, 1993. Interviewed by Gwen Meister, produced by Lynn Rogers. Video interview of Mr. Connell, of Tryon Nebraska, about his horsehair hitching, which he taught to his daughter, Joyce Snyder. At the Lincoln Senior Center Traditional Arts Day, Lincoln, NE, 1993. Interviewed by Gwen Meister, produced by Lynn Rogers. Excerpt of audio Interview with saddlemaker Dennis Rose in his shop, the Rose Saddlery, in Arthur Nebraska. Mr. Rose had been making saddles and doing other leatherwork since 1976. See PDF (pending) of transcript for details. Interviewed by Gwen Meister. An interview with poet and musician Howard Parker. Mr. Parker was a former rodeo rider and fourth generation cattleman who ranched near Gordon, Nebraska, until his death in 2004. He was featured at many cowboy poetry and music festivals during his career, including several times at the National Cowboy Poetry Gathering in Elko Nevada. See www.cowboypoetry.com for Examples of his poetry.